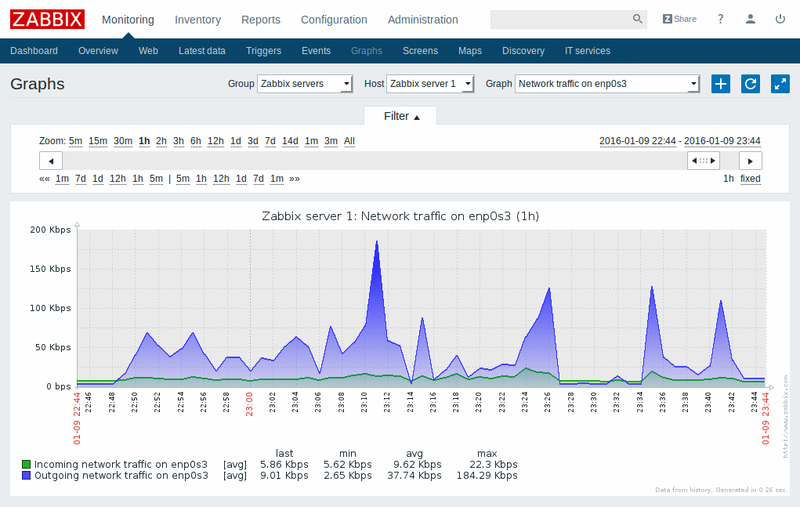 With Zabbix it is possible to gather virtually limitless types of data from the network. High performance real-time monitoring means that tens of thousands of servers, virtual machines and network devices can be monitored simultaneously. Along with storing the data, visualization features are available (overviews, maps, graphs, screens, etc), as well as very flexible ways of analyzing the data for the purpose of alerting. Zabbix offers great performance for data gathering and can be scaled to very large environments. 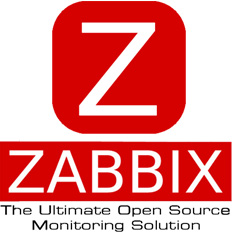 Distributed monitoring options are available with the use of Zabbix proxies. 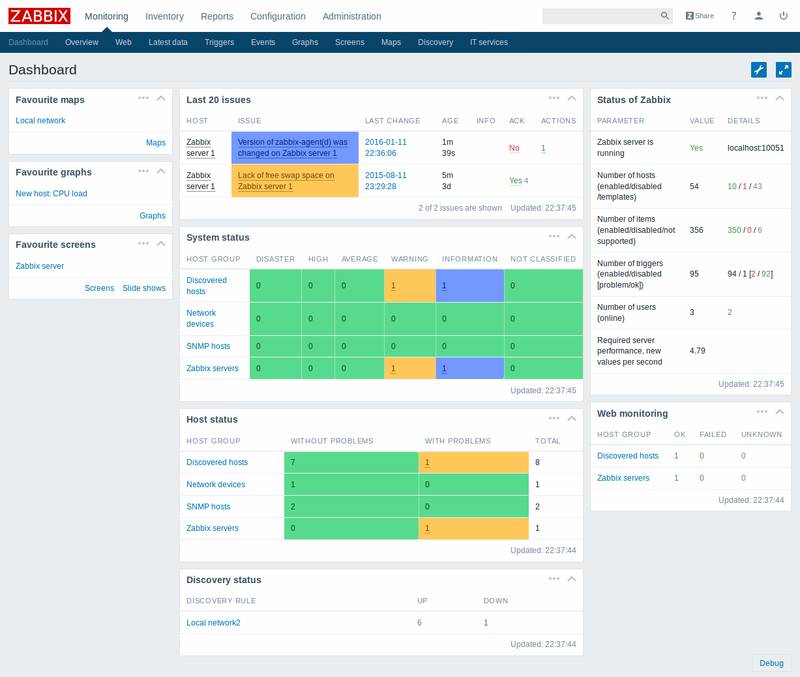 Zabbix comes with a web-based interface, secure user authentication and a flexible user permission schema. Polling and trapping is supported, with native high performance agents gathering data from virtually any popular operating system; agent-less monitoring methods are available as well. 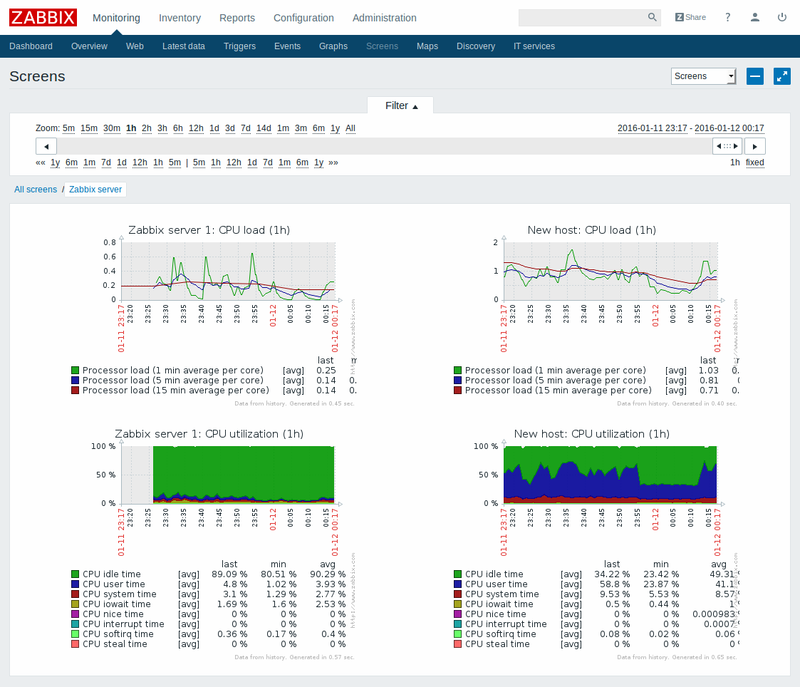 Web monitoring as well as monitoring of VMware virtual machines is possible with Zabbix. 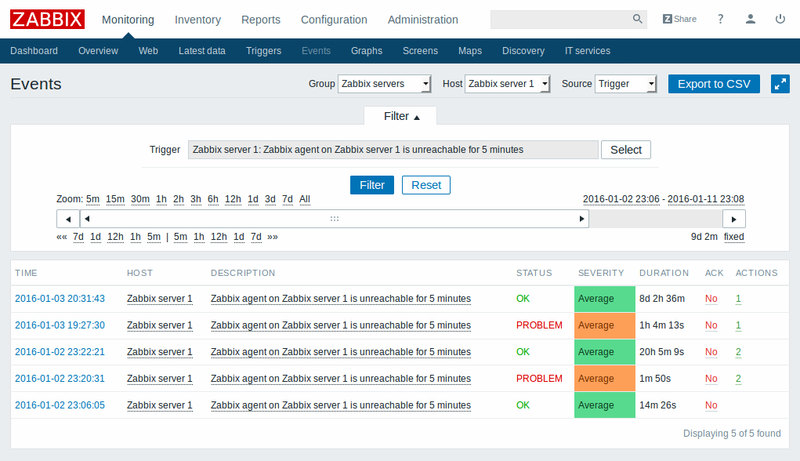 Zabbix can automatically discover network servers and devices, as well as perform low-level discovery with methods of automatically assigning performance and availability checks to discovered entities. I had issues to start zabbix and the logfile of the zabbix_server.log was empty. I found out that ./zabbix_server is requesting a libmysqlclient.so.18 which is not available in /raid/data/module/MariaDB/bin/lib/. I use MariaDB Version 10.2.12.0. To start the server I had to make a link from libmysqlclient.so to libmysqlclient.so.18.